The Art Beyond Sight program provides monthly tours of the museum’s collection to visitors with low or no vision. The Seattle Art Museum's facilities are wheelchair accessible. Wheelchairs are available through the coat check at the 1st Avenue and Union Street entrance. A piece of identification must be left with the coat check attendant for wheelchair loan. Wheelchairs are on a first-come, first-served basis and the number of wheelchairs is limited. 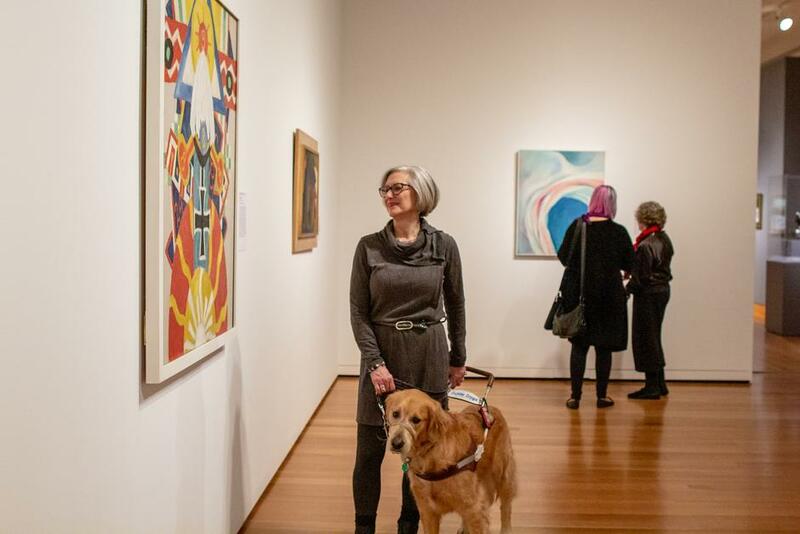 The Art Beyond Sight program provides regular tours of the museum’s collection to visitors with low or no vision. Tours are held at all three SAM locations and are free with advance registration. Private tours are also available upon request. For more information, please email us or call 206.654.3133. Sign language is available for all public tours upon request with two weeks' notice. Please email us, call 206.654.3123 (voice) for more information. Printed copies of the current audio tour may be available at the Ticketing Desk. Magnifiers for use in the museum galleries, educational resource rooms, and the Bullitt Library are available at the 1st Avenue and Union Street coat check. A piece of identification must be left for magnifier loan. Printed Low Vision Map & Guides are available at the Ticketing Desk. ASIAN ART MUSEUM IS CLOSED DURING RENOVATION. WE ANTICIPATE REOPENING IN 2019! The Art Beyond Sight program provides regular tours of the museum’s collection to visitors with low or no vision. Tours are held at all SAM locations and are free with advance registration. Private tours are also available upon request. For more information, email us or call 206.654.3133.